New York, August 7, 2018—Independent Franchise Partners (IFP), a leading global investment management firm, today announced it has selected Visible Alpha’s Insights platform to help streamline its research process and incorporate unique and timely consensus forecasts into its investment strategies. 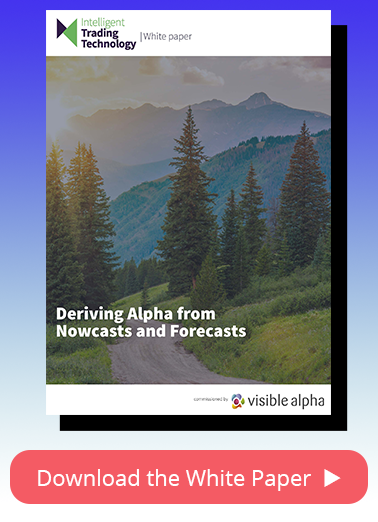 Visible Alpha Insights captures the forecasts, assumptions and logic from thousands of sell-side working models and integrates them into comparable views across analysts. This enables portfolio managers and buy-side analysts to evaluate consensus at an unprecedented level of depth, instantly spot investment controversies among analysts and understand the unique insights these analysts have on companies. Currently there are over 70 brokers contributing their analysts’ raw working models and consensus information on over 2,700 companies. Visible Alpha is transforming the way Wall Street firms collaborate on research, financial models and corporate access events by providing breakthrough tools for discovery, analysis and valuation. With more than 500 employees globally, the rapidly growing company combines advanced data technology, a secure distribution network and sophisticated analytical tools to drive efficiencies and transparency into the research process while also enabling firms to generate alpha in new and differentiated ways. Visible Alpha is backed by the world’s leading investment banks. For more information on Visible Alpha, please visit www.visiblealpha.com. Independent Franchise Partners, LLP was established in 2009 to offer the Franchise investment approach to institutional investors through a dedicated, independent investment management partnership. The Franchise investment approach is based on the understanding that a concentrated portfolio of exceptionally high-quality companies, whose primary competitive advantage is supported by a dominant intangible asset, will earn attractive long-term returns with less than average volatility. This is particularly true when those investments are selected with an absolute value bias. For more information about Independent Franchise Partners, please visit www.franchisepartners.com.